Taking inspiration from the traditional riding coat, the Gianna is a modern classic. 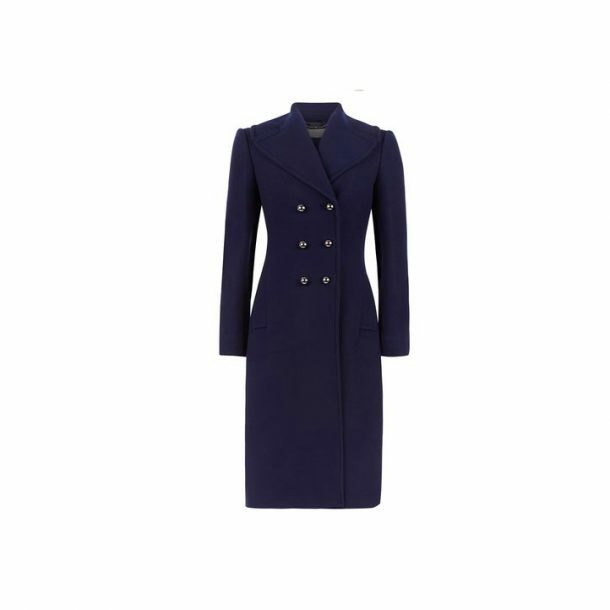 Made in beautiful French navy wool, it is beautifully tailored and has a dramatic femininity achieved by the flared skirt and black detailing. The curved collar and pewter buttons add an extra equestrian touch.